Mind Your Millennials: The Unspoken Cause of Retail's "Winter of Death"
A recent article coined this retail's "winter of death" due to the seemingly unending announcement of stores closings and bankruptcies. There's a lot of speculation about what's causing these stores to close en masse, but there's an underlying issue that's not being addressed. The evolution of eCommerce hasn't simply changed the way we shop: it's influenced our expectations of the shopping experience. Millennials are marked by the remarkable ability to be both naive and cynical: we are a generation cynical enough to see the problems in our world, and naive enough to think we can fix them. Growing up in the information age has allowed us to embrace the old adage "Knowledge is Power" and this evolution has given us more knowledge - and power - than ever before. The endless options afforded to us by omnichannel retail means we can make purchase decisions based on more than convenience, location and price; we can buy something because we believe in what it stands for, and that ability has put the onus back on brands and retailers to give us a reason to purchase. It's not enough to sell a product anymore: we want to know why. Why the company is selling it, and why we should buy it. We want a story to appreciate and we want branding we can connect with. Most of all, we want companies that represent themselves honestly and have our best interest, not the bottom line, in mind. This desire to connect on a deeper level with the brands we purchase from is starting to have an impact. 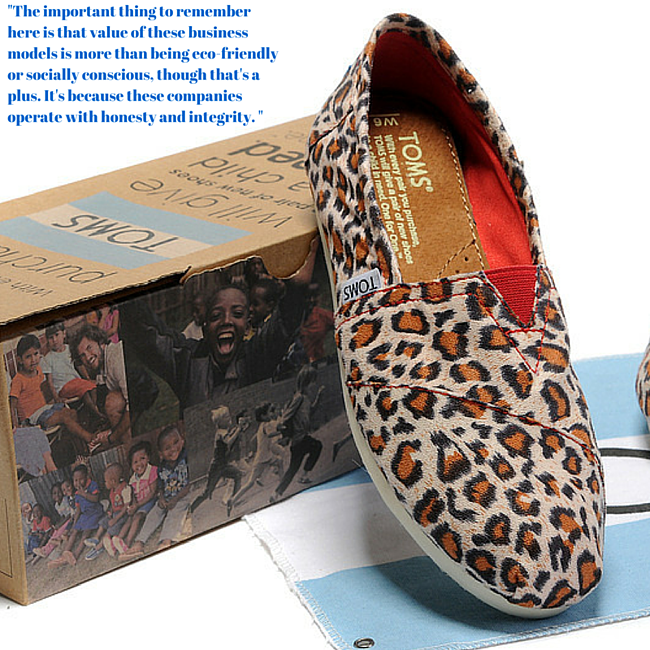 It's why sustainable apparel has been touted as the next frontier in luxury fashion, and why companies with social justice missions, like TOMS, are enjoying great success. The important thing to remember is that the value of these business models is more than being eco-friendly or socially conscious - though that's a plus. It's because these companies operate with honesty and integrity, and shoppers are showing their approval the best way they know how: their wallets. Successful retailers are taking notice, and doing what they can to improve consumers' shopping experiences. Nordstrom, for instance, offers free 3 day shipping and free returns on all purchases as part of a pointed campaign of improved customer service. Macy's has requested that their vendors supply all of the attributes from GS1's Extended Attributes Guideline from their suppliers by no later than August 28, 2015 in order to offer more extensive product information for consumers. Retailers and brands that embrace the evolution, and treat consumers with respect, will win over the Millennial generation; those that don't will lose traction over time. In the case of RadioShack, it's already too late. When Radioshack filed for bankruptcy, I couldn't help but remember my last visit. 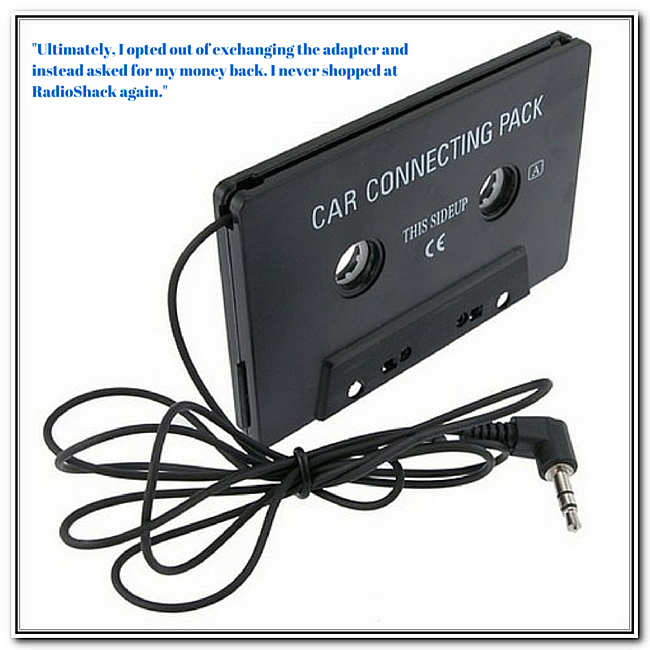 I was in need of an adapter for my iPhone so that I could listen to music in my car. The adapter was 16.99 and I opted to purchase RadioShack's insurance for an additional $3. Unfortunately, within three weeks of purchasing, the adapter broke. When I returned to Radioshack I was told that my protection plan allowed me to either receive a refund or exchange my broken adapter for a new one. I was happy to exchange my broken adapter for one in working order - until I got to the check-out. "Would you like to purchase the protection plan for this?" The cashier asked. "Oh, I already bought it last time," I explained helpfully. She looked at me and shook her head, flushing with embarrassment. "That protection plan was for the adapter you're returning, so you would need to buy another protection plan for this one if you want it." I was appalled: the $3 charge itself was inconsequential, what irked me was that RadioShack enforced a protection policy that effectively rewarded low-quality merchandise. If I had bought another adapter with the $3 protection plan, I would've spent nearly 50% of the item's total value due to a factory defect. Ultimately, I opted out of exchanging the adapter and instead asked for my money back. I never shopped at RadioShack again. The point here is that nothing dramatic happened, no outrage or dismay, but the little things add up: even the smallest crack can cause a window to eventually shatter. A weak point that causes a disconnect with one consumer can spread to many, eventually causing serious damage. Brands and retailers only get one chance to earn our trust, and once it's lost it's nearly impossible to gain it back. Brands and retailers should have one simple goal: to improve the lives of their customers. Those companies that have failed to do so have already paid the price, and more will follow. Honesty creates trust, trust evolves into loyalty, and a loyal customer is a friend to your brand and your bottom line.